Greetings Greetings! 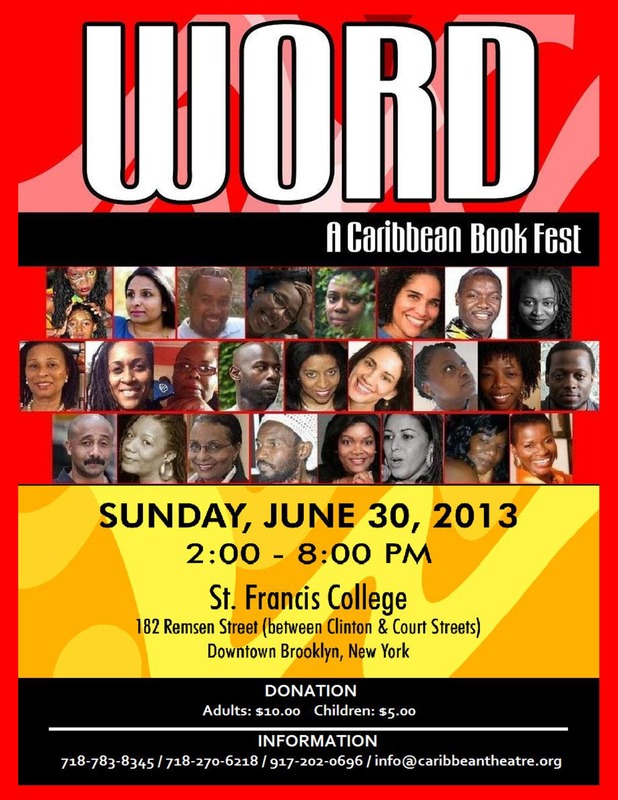 I am proud to present ‘Word: A Caribbean Book Fest 2013’, sponsored by Caribbean Cultural Theatre (Brooklyn, NY). I have the great fortune of being a guest presenter on a panel of highly esteemed artistes/writers of Caribbean descent/connection. It promises to be enriching, warm and educational. Please check the flyers below. It’s time for the right, productive beings of the World to unite!!! Bliss, Light, Protection & Harmony!!! The video entitled, “Intro to E”, is the first installment of the 10-part series. 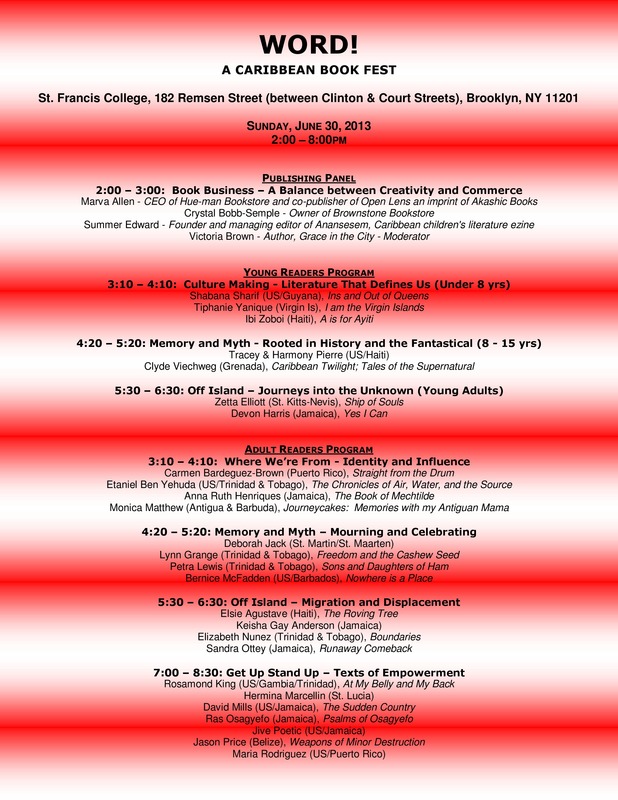 ‘E as Poetlove Water Flows’ will address several topics like: preserving/sharing culture, the power of music, the disparities between the elders and youth of today, the importance of community/interdependence and health & wellness.